The decision by the Camden City Council to try out bike sharing for an four-month trial period generated a multitude of media coverage, both local and national, print and TV. The bicycle service is provided by a company called “ofo” that introduced bike sharing to San Francisco and Beijing, among many other cities. 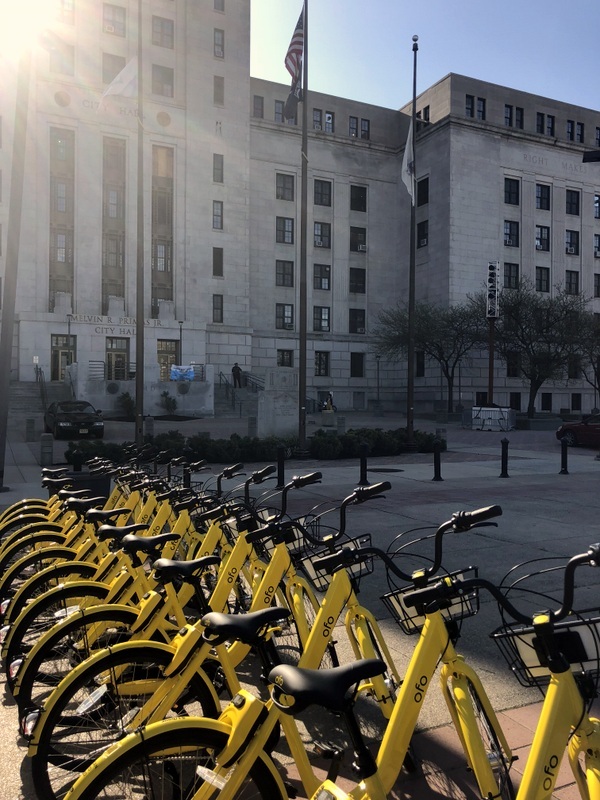 According to ofo, some of its partner cities have seen short-distance car trips (under three miles) reduced by as much as 44 percent because residents opt to hop a bike instead. All it takes is a Smartphone app—to find and unlock a bike—and $1.00 per hour for the ride. The Bike Share will encourage alternative modes of transportation in the city, especially along the Camden GreenWay and the Circuit Trails. The service does not use parking docks; instead, customers find an available bike via their phone, enter a code provided by the app to unlock the bike and push a lever to lock the bike at the end of their trip, leaving the bike behind for the next rider. The bikes have GPS units, allowing customers – and the ofo operations team – to track their location. Users can ride anywhere within the City of Camden limits. Several hundred bright yellow bikes are now available throughout the city. To sign up, interested riders can download the ofo application and pay with a debit or credit card. Interested riders without a debit or credit card can buy a ride “voucher” at the offices of Cooper’s Ferry Partnership. Visit camdenbikeshare.comfor more information. Next time you see a bright yellow bike in Camden, hop on and enjoy the ride.